Easter Island is known for its unique Moai monumental statues carved by the Rapa Nui people, believed to have arrived on the remote landmass in the southeastern Pacific Ocean in around the 12th century. 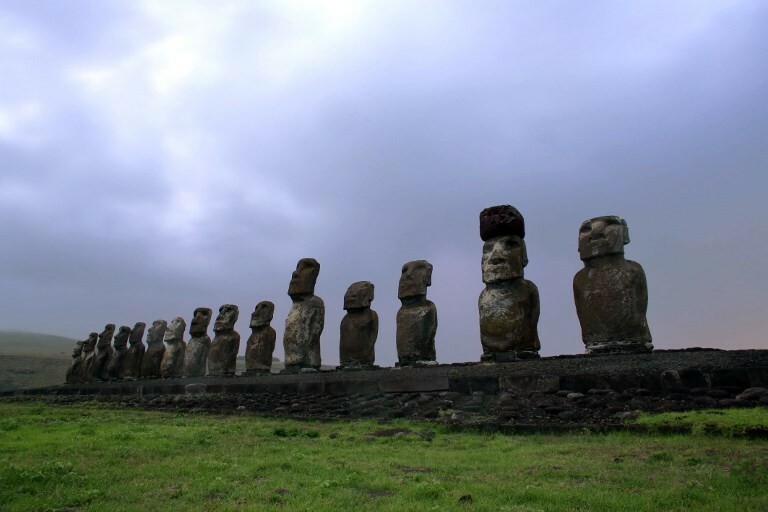 Despite its isolated location some 3,500 kilometers (2,000 miles) from the coast of Chile, the island is a popular tourist destination, not least due to its remarkable collection of around 900 tall human figures with distinctive features and standing up to 10 meters (32 feet) tall. However, it is those very tourists, alongside mainland migrants, who have become a threat to the island's well-being. Chile, which annexed the territory in 1888, has decided to act. In 2007, Easter Island was designated a special territory while back in March, congress voted to limit the number of tourists and foreign or mainland residents allowed on the island, and the time they're allowed to stay. As of Wednesday, new rules will come into effect that reduce the time tourists -- Chileans not part of the Rapa Nui people and foreigners -- can stay on the island from 90 to 30 days. "Foreigners are already taking over the island," Mayor Pedro Edmunds told AFP. At the last census in 2017, there were 7,750 people living on Easter Island, almost double the population of a few decades ago, before the island was hit by a tourism boom and the real estate development that accompanied it. Edmunds says that number is 3,000 "too many". "They're damaging the local idiosyncrasy, the thousand-year culture is changing and not for the good," he added, saying that "customs from the continent" were infiltrating the island and "that's not positive". Crime and domestic violence figures are also rising. It's not just obnoxious people from the mainland causing problems, though -- the increase in tourism is harming the environment. All basic services are straining under the pressure, not least waste management, Ana Maria Gutierrez, the local government's environmental adviser told AFP. A decade ago the island generated 1.4 metric tons (1.5 US tons) of waste per year per inhabitant, but that figure has almost doubled to 2.5 tons today, with a population that recycles very little. "Environmentally the island is very fragile," said Gutierrez. The new laws, however, impose stricter rules on those who wish to live on the island, amongst them a requirement to be related to someone from the Rapa Nui people: either a parent, partner or child. Others who will be allowed to stay are public servants, employees of organizations that provide services to the government, and those who develop an independent economic activity alongside their families. On arrival, tourists must present their hotel reservation or an invitation from a resident. The rules will also establish a yet-to-be-decided maximum capacity. But Edmunds isn't happy, as he feels the rules don't go far enough to protect the island's culture, heritage and singularity. "I don't agree with these rules, it's not enough because it doesn't reflect all the aspirations of the island," he said, admitting that like "many other Rapa Nui" he favors a "total" ban on the arrival of new residents. However, he said the legislation was at least "a good start". Rapa Nui are a Polynesian people closely related to those on Tahiti, whereas the majority of Chileans have European ancestry, with a minority of indigenous peoples.